With the coming of Monsoon, it is the time of season again when Dengue outbreak begins to spread in India. Awareness and prevention is the best remedy through which Dengue and other mosquito-borne illnesses can be avoided. Dengue is an illness caused by a virus that comes in four different types known as Den-1, Den-2, Den3, and Den-4. Among these strains, Den-3 and Den-4 are most prevalent in Asian countries. Now, one may ask how the virus gets inside the body to cause an illness. This is where a particular type of Mosquito known as “Aedes Aegypti” plays a big role. When a person is already sick with Dengue, his or her blood contains the Dengue virus. Dengue mosquito can bite an already infected person, and then carry the virus when it bites another person. According to the reports from WHO, Dengue virus infections were first reported in countries like Thailand and Philippines as early as the 1950s. However, now Dengue outbreaks are reported in many more Asian countries like India as well as countries in South America. In the last 50 years, according to reports, Dengue has increased 30 times all over the world. Globally, it is estimated that nearly 50 to 100 million, which is equal to 5 to 10 Crore population gets infected by Dengue. Whenever there is Dengue occurrence in a neighborhood, it can be assumed that this puts the entire nearby community risk-prone for catching the virus, unless precautions and corrective measures are taken. Dengue outbreaks are more common in urban poor communities but are also reported from well-maintained urban settings. 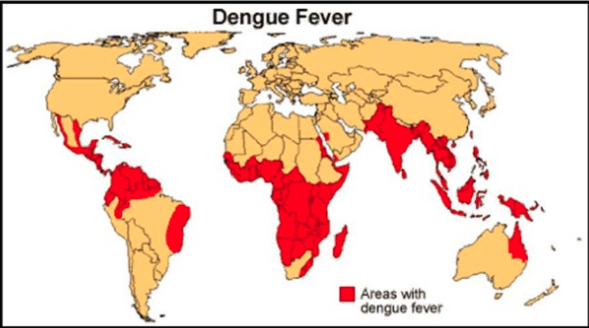 How does Dengue disease spread? Once a healthy human being is infected by a mosquito carrying Dengue virus, the virus circulates and multiplies in the blood. Mostly a person would begin to show the symptoms in 4-5 days of time after getting exposure to the virus. These symptoms may last a period of 2-7 days varying from person to person. If a non-infected mosquito bites an infected person, mosquito too becomes a carrier of the virus. When this mosquito bites another healthy person, the disease begins to spread. Dengue is rapidly increasing in India. In last year itself, states like Kerala and Karnataka saw a nearly three-fold increase in reported cases. Karnataka had 6083 cases reported in 2016 which rose to 17844 in 2017. Do note that there may be many more cases that may not be reported. How to be more self-aware of Dengue risks? First of all, since this is a disease that starts to take hold in a community if you start hearing the news that Dengue is spreading in the community, it is time to be extra cautious. Dengue outbreaks are also more common after rainy season as mosquito can breed in large number in accumulated water. An awareness about Dengue cases in the nearby community as well as heightened risks around or after the rainy season should ring a warning bell about the risk of Dengue. Since these symptoms also commonly occur in other types of viral or flu-based conditions, it is extremely difficult to determine if one is suffering from Dengue by knowing these symptoms alone. To keep the fever under control by using Paracetamol. Note that other medicines like aspirin or ibuprofen should not be used, as if there is Dengue, they can increase the risk of internal bleeding. Keep the person well-hydrated by giving him plenty of juices and water to drink. This also helps by giving the body the necessary energy to fight the viral infection. Ensure that the person is taking sufficient rest. In most of the cases, the symptoms begin to subside in 3-4 days and the person may start feeling better. This happens when the body has successfully developed the antibodies against the virus. However, in a small percentage of cases, Dengue may take a dangerous turn towards a stage called severe Dengue. This starts to manifest after 3 to 7 days of initial symptoms. Fever may also reduce on its own to below 38 degrees F.
The primary warning signs of Dengue changing to a severe condition are. When any of these symptoms occur, it is very critical for the patient to be admitted in critical care to avoid complications and risk of death. As you may have noticed from the above section of self-awareness, it is very difficult for even the doctors to determine that a person is suffering from Dengue, on the basis of symptoms alone. But doctors are much better aware of how Dengue is spreading in the neighborhood. If any of the advanced symptoms occur after the initial days of fever occurrence, doctors can advise the patient to under tests that can conclusively determine whether a person is suffering from Dengue. Tourniquet test is often used by the doctors as an indicator in outpatient department settings. It is a test that is part of the WHO algorithm for diagnosis of Dengue by assessing capillary fragility. Capillaries are the smallest blood vessels that enable the spread of blood from arteries to the tissues and return of deoxygenated blood back to the veins. Tourniquet test is conducted by applying a blood pressure cuff and measuring the blood pressure of the patient. The systolic and diastolic blood pressure is measured. Subsequently, the cuff is again inflated and kept at a pressure that is midway between the systolic and diastolic blood pressure. For example, if the patient’s blood pressure was 120/80, cuff would be kept inflated for about five minutes at 100 mm Hg. Subsequently, the pressure is reduced and the physician waits for two minutes. If 10 or more petechiae or red spots in one square inch of area appear in the area right below the cuff, it is a positive indication for capillary fragility. Subsequently, a test may be recommended to measure the platelet counts which are the most important test for Dengue. Normal platelet count varies between 1,50,000 to 4,50,000 cells per microliter of blood. Platelet count below 50,000 per microliter requires immediate intervention in form of admission and blood transfusion to avoid bleeding and developing of Dengue Shock Syndrome. A daily platelet count is taken. There are few other tests that are also in practice but don’t conclusively prove the presence of Dengue. These are based on the presence of certain antibodies in the blood serum, hence called Serological tests. Serological tests are of two kinds, one that can check for the presence of the virus itself in the blood is called molecular test or NS1 antigen test, and the other that checks the level of antibodies, namely IgM and IgG that is produced in the body against Dengue. If the NS1 antigen is positive, it usually indicates that the person is suffering from the diseases. However, when NS1 antigen test is done too early when a person has either just been exposed (like less than 24-48 hours) or too late when the blood is drawn after 9-10 days of initial symptoms, it may fail to catch the presence of the virus. 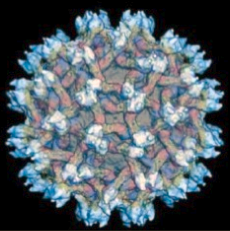 Our body produces antibodies in response to Dengue virus. The antibody test is based on the principle that as part of the defense, our body produces an antibody in response to the virus attack. Typically, when this test is done after 4-5 days of initial symptoms occurrence, it provides good results, but still, there may be times when the test is either inconclusive or provides a false positive. IgM antibody may also be expressed when a person is suffering from other infection like Chikungunya. Due to the above reasons where the tests can either provide a false positive or negative, experienced doctors rely on assessing the platelet counts on a daily basis to ensure that patient is on a recovery track. When a person starts showing symptoms that are indicating increasing severity of Dengue, an immediate medical intervention is needed to provide critical care to the person. If the fever is coming down to normal, but the illness is still progressing, it is not a good sign and may indicate that the person is going to the more advanced state of the disease. The worsening of the disease usually takes place between 3rd to 5th day of the disease, indicated by a drop in platelet counts and the weakening of the pulse pressure. Advanced symptoms are labeled as Dengue hemorrhagic fever (DHF) and Dengue shock syndrome (DSS). Children below 10 years and adults suffering from other conditions are more likely to develop the advanced symptoms. The primary interventions at this stage aim to restore the fluids and prevent the worsening of symptoms that can lead to shock. In the majority of the cases, following these interventions, there is a full recovery as long as the right interventions are provided, but in rare cases, the patient may progress to worsening shock and eventual death. Take medicine like Paracetamol to control fever, but do not take aspirin or ibuprofen that can increase the risk of hemorrhage. Drink plenty of liquids to keep hydrated. Never delay one moment and take the patient immediately to the doctor. Timely intervention can play a big role in normal and full recovery. Do not try to self-treat the patient or take medicines on your own. Since there is no direct treatment of Dengue and many other virus-borne illnesses, the best remedy is to protect oneself and the family from mosquito bites. Keep your house and surrounding cleans – which doesn’t mean that we keep our house clean but throw the garbage or let out the dirty water outside in the neighborhood. 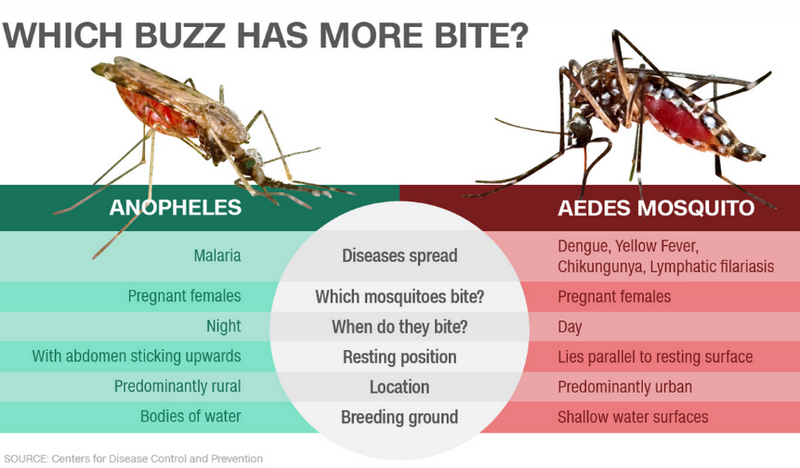 Diseases like Dengue spread in a community, so if there is someone is sick in your neighborhood, you are very much at risk of getting the disease because of mosquito bites. That is why it is important to get together with your neighbors and ensure that the entire community is becoming clean. 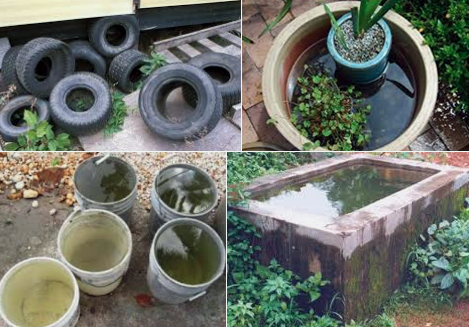 If you have water accumulated in water coolers or other containers which can happen due to rains, empty those to again reduce the breeding of mosquitoes. Dengue mosquito prefers to lay its eggs in relatively clean but stagnant water, so these are very good places for it to breed. Be aware of this type of mosquito that is known to carry the Dengue virus, and how it looks different from the mosquito that causes malaria. These mosquitoes are having long legs and have white markings on them. They generally bite during the day towards dawn and dusk. Take steps to prevent mosquito bites such as the use of mosquito net while sleeping, installing mosquito nets on the windows and door, and use of mosquito repellants and mosquito bat to kill the mosquito that you can spot. Shut the doors and windows once the sun sets as that is when most mosquitoes enter the house. Be aware of the news about your area as you will come to know about the spread of Dengue. Take special care of children and elderly in your family to protect them from mosquito bites. One big issue in our country is that we often try to self-treat but if the person is having a high fever like 103 F or 104 F, you should always consult a local doctor as they may be better aware of what type of diseases are getting reported in the area. They can also analyze the symptoms that are pointing to the presence of Dengue or any other serious illness. With prevention, Dengue and other mosquito-borne illness can be kept away, as well as if the disease still happens, there is no need to panic but it is important to start the required medical care on time. 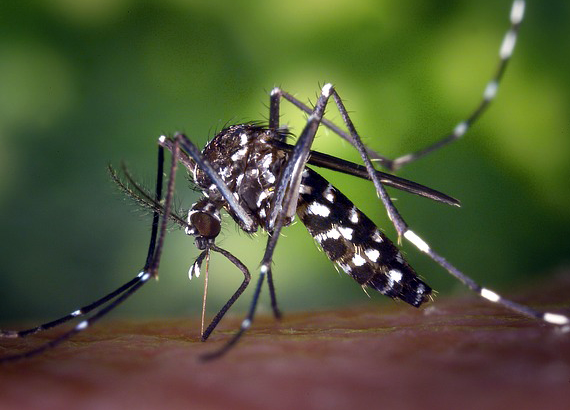 General Chikungunya, dengue, dengue fever, Dengue hemorrhagic fever, Dengue mosquito, Dengue shock syndrome, Dengue virus, Malaria, mosquito bites, treatment of Dengue. permalink.